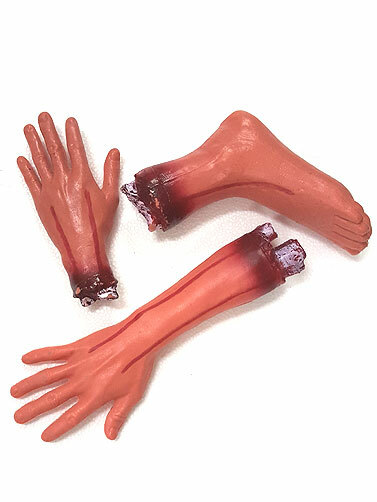 Use this Bag of Body Parts Props to create a macabre scene for Halloween. 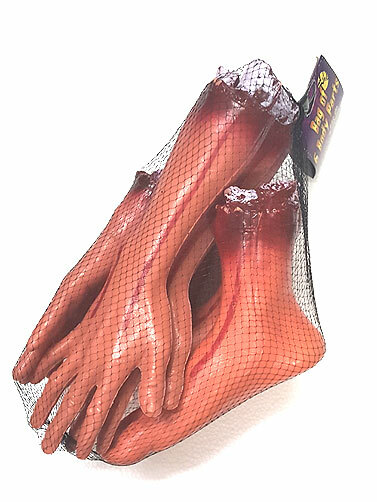 Mesh bag with plastic body parts includes 2 each of arm, foot, and hand. Place them in a graveyard or around the Halloween party table. Safe for outdoor displays. Arm measures 14"L; foot measures 10"L; and the hand measures 9"L. 6 Pc.